With us we have Sebidee, the modder responsible for ranged knockdown mod as well as many high rated and successful unit roster overhauls for Rome II, including the Iberians and Carthaginians, the Balkan factions (Pirates and Raiders) and Gauls. I'm going to ask him some questions to give first time modders an impression of what it's like working with the engine, just how easy it is, and some insight into the work this diligent modder has done and his plans for the future. Sebidee's mods are available on steam as well as linked on the TWC modding forums, as well as his plans for future projects and they are frequently announced on the front page. What inspired you to start modding for Rome II? What were your initial perceptions of the game, and how do you think it’s improved in so far as modding options now all the way to Emperor Edition? I very much liked Rome 2 from the beginning, naturally though I was disappointed with a few features and aspects of the game. My biggest gripe (obviously) was unit variety. The existing units were great but the sizes of the rosters just didn't suit me. Ever since Shogun 1 I've loved units in Total War and in every game I would pick factions with the most varied and largest rosters because I would quickly become bored with using the same units in every battle and enjoyed switching things up and using entirely new armies as the game progresses. For Rome 2 I tried to rely on mods to bulk up the rosters, the mods were incredibly well made but never had exactly what I wanted. Specifically I was looking for a Parthian expansion so that I could play a campaign, after a few months of obsessively searching the steam workshop I suddenly realised that I could do it myself. Despite being a self confessed technophobe who didn't know how to install software or download movies and without any real experience of even using mods that's exactly what I did! Modding, of course, can have a massive effect on the quality of the game. There are tweaks that can fix obvious problems like bugs or faulty mechanics but I believe modding is most powerful on an individual basis. I started modding because I wanted to make a Parthian roster that was perfect for ME. With modding it is possible to have a game that is tailored to your tastes and preferences alone without having to worry about keeping anyone else happy. There are hundreds, even thousands of mods that all alter the same part of the game in very slightly different ways and each appeals to a certain kind of user. In a perfect world everyone would mod their games or even just mod mods to create a game perfectly suited to every single player. It's not difficult and that is an area where TWC can lend a hand! What kind of historical research did you do for each faction. I understand historical research can be difficult to pin down outside of archived or national resources such as libraries and bookstores, or people familiar with their own cultural history and ways of ancient warfare. Did you consult people in the TWC community who were familiar with these factions of antiquity or did you use more commonly found research? On the contrary there are plenty of resources available on the internet! You probably wouldn't be able to write a doctoral thesis with the resources available but for nothing more than modding they are more than adequate. I like historical mods but I prefer fiddling around with numbers and variantmeshdefinitions rather than doing lots of lengthy reading. I have several people helping me out on my mods and they have all recently been marked as contributors for the mods whose factions they specifically researched. Rex Imperator, Moacyr and Marshal of France have played big parts in the creation of the Pontic, Iberians and Gallic mod respectively. The historic fidelity of my mods has definitely increased since their inclusion and I'm happy they are on board! It's not necessary to have people experienced with their own history. There are tons of resources available online. Re-enactor websites, national history websites, historical mods for Rome 1, actual historical accounts, even Wikipedia can be a useful tool for getting a general idea for factions. Immersion is obviously a very important factor when making mods, what a modder needs to do is trick a user into thinking that they are playing the vanilla game and that they aren't using a mod. This means that you need to adhere to vanilla trends to make sure that your units look act and feel similar to the units around them. The point where vanilla and the mod meets needs to be as seamless as possible. Another thing that I have tried to do is give each faction a personality of it's own, this prompted the decision to add the various tribes to the Odryssian Roster. There was a quote that I based the roster on and it was that "If the Thracians could unite they would have conquered the world". I thought it would have been interesting to allow the player to do this in their campaign. The names of the tribes were not difficult to find and were included on several websites which each of the tribes being very significant to one writer or another. The Bessi caused trouble for the Romans and later became their foremost Thracian auxiliary force. The Edonians were famous cavalrymen who were frequently at war with the Macedonians, eventually causing the Macedonians to master cavalry in order to combat them. The Thinyi were ambushers who famously attacked the Greek writer Xenophon who at the time was working in Thrace with other Athenians which prompted me to add hoplites as a limited unit. Proper linguistic use of names is less important than the stories and history the names represent. It's a common opinion of the Total War community that historical accuracy is synonymous with immersion but that is often not the case. In fact it's often necessary to make units less historical in order to preserve the immersion of history fans! Forums work as a kind of hive mind and when amateur historians apply that to deciding what is and is not historical it can lead to mixed results. This is what leads to the assumption that barbarians were incapable of military discipline or unable to produce advanced weapons and armour. It also leads to the opinion that pike phalanxes are indestructible or the flat rejection of Scythian women warriors. With relevance to this interview it's the opinion that the Iberian elite would not have used bronze scale! What is immersive is not always historical and what is historical is not always immersive. Right now we are working on a mod for the Greeks and are at the stage where we look at historical research and decide on what units to add. Rex has uncovered a lot of units that are historical fact but simply cannot be used for fear of criticism of historically minded total war players. Certain things, like the fact that Sparta was not militarily backward and fielded a successor style army with a Spartan core and mercenaries or the fact that Athens fielded a unit of Greek horse archers would certainly break the immersion of those players. Other times I have had to change certain names to an unhistorical alternative because of their modern implications, such as the North African Mauri, Castro hillforts or certain tribes with names the same as medieval kingdoms. I find it funny that unhistorical changes needs to be made to fit the opinions of history fans! Of course, there are times when a certain amount of artistic liberty comes into play, after all mods are supposed to be a way of making a game more fun and exciting rather than just adding extra bland content. Real things can be exaggerated or expanded upon to this effect with historical possibilities being treated as fact. What advice could you give to a modder who is uncertain how variables will interact when designing something like your ranged knockdown mod? If you are uncertain about how a variable will work and are curious enough to change it then that better be what you do! It is absolutely impossible to break your game with modding so there is really no reason to not try things out. That's how new things are found and innovative mods made. I first added the shockwave effect in my Suebi mod back in May in an attempt to make throwing axes a little bit more unique, experimentation really pays off. Do you think DLCs are a positive or negative addition for the modding community. Professional content such as the Daughters of Mars, versus these things done exclusively by the fanbase. DLCs are of course a positive addition to the modding community. New materials added to the game months after release gives us the opportunity to make a whole series of fresh mods. Things added in DLCs can technically be made by the fanbase but you have to realise that modders are self taught with cheap or free tools and limited time. Professionally made material would naturally be of better quality and allows modders to skip the long and difficult steps of model and texture creation. What are your plans for the future in the modding of Attila: TW if any? I will be modding Attila but probably not as much as Rome 2. I won't be doing large expansions for every faction but I will do some smaller mods, mostly for recreation rather than a goal orientated project. It's sort of ironic that I got into modding because I loved to play the game but because I modded never had time for proper campaigns! Every time I made a mod I swore that I would play a campaign with it but before I got around to hitting the start button I was already modding something else. I definitely would like to enjoy Attila and some of the other games sitting unplayed in my games library. Of course I won't be able to stay away from modding for too long and I'll be making some tweaks and essential unit mods when I'm able. That said, I do have an idea for a total conversion mod that would work very well with Attila's features but that's being kept under wraps until I learn how to actually make it. What work out of the mods you’ve done are you most proud of? Feel free to promote any of your work. Don't really know how to answer that one. 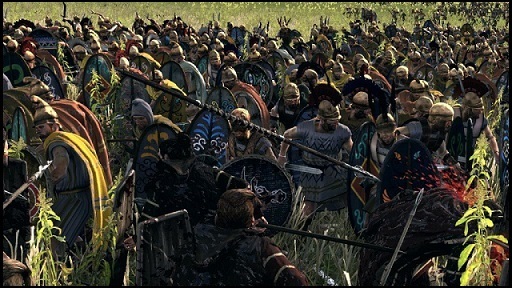 I suppose I should be most proud of the Parthian mod since it was my first but looking at it with what I know about unit creation now then it doesn't seem so good. The Iceni were probably the best and the Balkans were the most fun. Take from that answer what you want! The environment on TWC has been fairly cautious and negative lately. I’ve heard your thoughts on the capabilities and ease of access in modding the game. If you could reiterate them here in the best way, what advice would you give to a first time modder: What resources should they start out modifying? And what would be an easy introduction to the resources, such as the first work you did? Well, people always say that the game is unmoddable or that there is nothing that modding can do about it. That's just a result of exaggeration and misinformation. I'll let you in on a trade secret, when a modder says something is unmoddable it is often because they just got a request and what a more polite way of saying no. Yes, it's true that there are some things that cannot be change, but in the grand scheme of things they are minor enough especially when compared to the multitude of things that can be modded. I'll confidently say that there is more things in the game that can be modded than ever will be modded, it's just that modder interest hasn't gone there yet. Modders mod what they want to mod which means that a lot of mods will be similar but what's on the workshop is no indication of what is actually possible. You cannot underestimate how much of an effect on the game even minimal modding can have. My missile mod that you mentioned is about as small a mod you're likely to find. It's a single table, with a single edited column where a variable is increased from 0 to 0.025 on average. 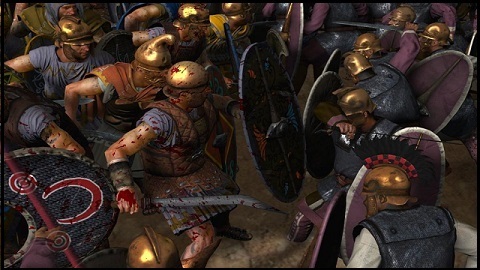 If you think of the size of Rome 2 that change is microscopic but can significantly alter your battle experience. The negative comments about the power of modding is generally a misguided notion that by making complaints about modability so over the top and so controversial then CA will increase their mod support. That may be true but it also can have a tremendously negative effect on the modding community, people won't mod if they think they can't do anything with it and negative campaigning will reduce the amount amount of new modders. That's not good. Advice for modders, well there is no particular area that you should start out modding. Everything is as difficult (or easy) as everything else and you should only mod what you enjoy and have an interest in. Find what you want to change, units, campaigns, factions, battles and then just jump right in. Learn from doing and by trial and error, there's nothing that can go wrong. If you want to learn then there are plenty of Youtube videos and written tutorials that can give you the basics. Make friends with a modder and ask him to give you tips, if they are a decent person then they will help you out! If there is one thing I can tell a new modder as that what they think modding is is completely wrong and it's far easier then they think!